A telescope lets you observe celestial objects in the night sky in extraordinary detail. Vivitar manufactures refractor telescopes that include everything you need to begin observing the wonders of the night sky. Refractor telescopes use a two-lens optical system to capture light from the moon, planets and stars. Vivitar includes two eyepieces, a 60x and a 120x, for studying these targets at high magnifications. The tripod (included) and finder scope simplify the process of aiming the telescope at astronomical targets. Locate a viewing site away from light pollution, including streetlights, porch lights and car headlights. Light pollution makes observing faint objects, such as galaxies and nebula, more difficult. It does not, however, affect the image quality when observing the moon and planets. Loosen the thumbscrews on the tripod and extend the legs to a comfortable viewing height. Check that all three legs are equal in height and tighten the thumb screws. Stand the tripod upright on a flat surface. Attach the telescope to the tripod. Slide the telescope’s mounting plate into the tripod mount and tighten the two thumbscrews to secure the telescope. Identify your first target. Begin with the moon if you have never used a telescope before. The moon makes an ideal first target because of its size and brightness. Observing planets and more distant astronomical targets requires detailed sky charts. 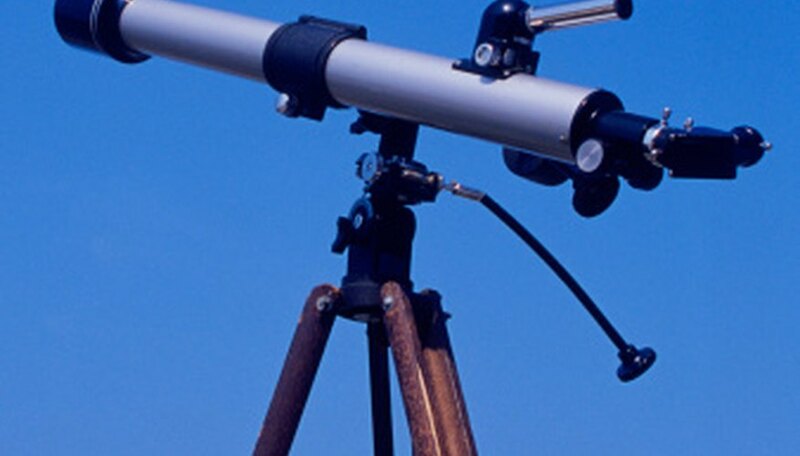 Aim the telescope at the target by raising or lowering the tube and pivoting it left or right. Look at the target through the 3x optical finder scope, which is included. Center the object in the finder scope’s field of view by raising or lowering the telescope and moving it left or right. Insert the 60x eyepiece into the telescope’s focuser to study the object at higher magnification. Adjust the focus knob on the focuser until the object appears sharp in the eyepiece. 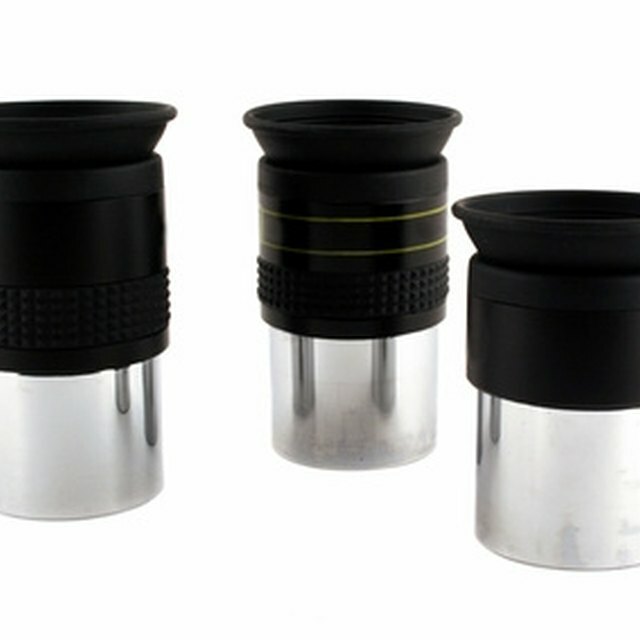 Insert the 120x eyepiece into the focuser to observe the object at even higher magnification. Adjust the focus knob to sharpen the image. Moonlight reduces the visibility of faint objects such as galaxies and nebula. Windy nights reduce the stability of the atmosphere. On windy nights, favor the 60x eyepiece over the 120x. High magnifications require a steady atmosphere for crisp, pleasing views. Looking at the sun through a telescope will permanently damage your vision. Waid Observatory: What Can I see In a Telescope? Joel Douglas has been writing professionally since 2004. In addition to running a music website for several years he also has copy-edited books on social philosophy and produced training materials for a public library. Douglas has a Master of Arts in English. Douglas, Joel. "How to Use a Vivitar Telescope." Sciencing, https://sciencing.com/use-vivitar-telescope-7391789.html. 24 April 2017.